Vancouver Harbour Flight Centre is conveniently located for business and leisure travelers, with immediate access to Vancouver’s business district, shopping and restaurants, hotels, and convention centers. 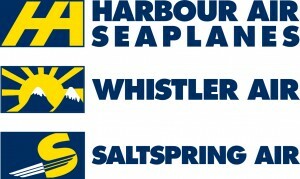 VHFC was built by a private consortium that responded to a BC Government ‘request for proposals’ issued as part of the redevelopment of Coal Harbour’s public assets for the Vancouver 2010 Winter Olympic Games. The facility was designed by aviation experts to be the permanent home for Vancouver’s float plane operators, who had been migrating around Coal Harbour between various temporary docks. The resulting float plane passenger terminal is LEED certified and was built to meet the stringent design specifications provided by the BC Pavilion Corporation (PAVCO) and the City of Vancouver. The facility boasts a number of innovative design features, such as a self-contained, state-of-the-art secure fueling system, environmentally-friendly floating docks, and a fully-accessible public glass elevator to allow people to transfer from the lower level of the famous Vancouver Seawall to the upper level at Jack Poole Plaza, home of the 2010 Olympic Cauldron. The VHFC won an international MARKET interior design award for hospitality interiors in 2013 (MCM Design). The final result is one of the best-designed float plane terminals in the world, and a facility that complements Vancouver’s Convention Center and waterscape while continuing to support the economic vitality of Canada’s busiest working harbour.